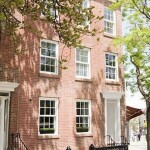 Greenwich Village has long been touted as one of Manhattan’s most expensive neighborhoods, and a haven for the Hollywood A-List, with residents like Liv Tyler; Julianne Moore; and New York’s sweetheart, Sarah Jessica Parker. 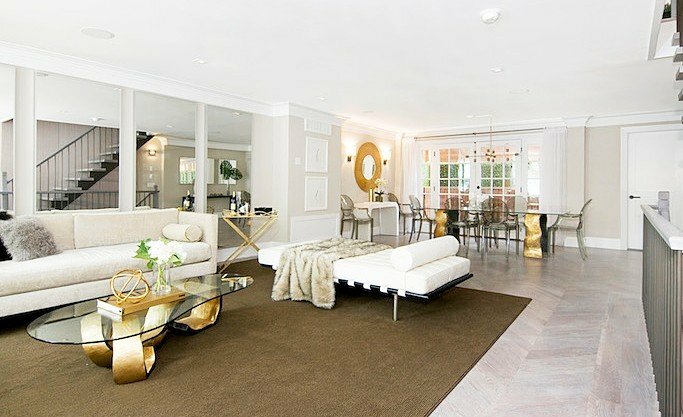 Well, the dazzling townhouse at 9 Commerce Street is ready for her close-up, and with assets like hers, Platinum Properties agents Tony Leondis and Daniel Hedaya are likely to attract a lot of attention. The GRADE Architecture + Interior Design renovated home boasts 3 stories and a basement, with outdoor space on 3 different levels. 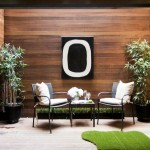 The first of the outdoor spaces in this 2,800-square-foot beauty is on the garden level. But wait, you didn’t think we’d just take you straight there, did you? No, first we have to lead you through the open layout, starting with the giant kitchen and its Lavastone countertops and backsplashes. 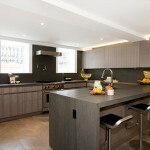 The chef’s dream is equipped with high-end appliances and custom Eucalyptus cabinetry. 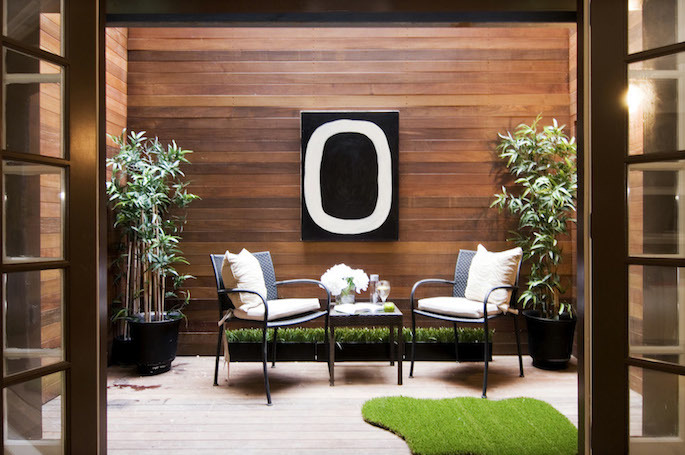 The open breakfast area is more than 20 feet wide, as is the family room, which has two grand, floor-to-ceiling doors leading it to the charming patio and Zen garden. Now wasn’t that worth the wait? If eating breakfast here means having this for a view, you wouldn’t be able to get us out of the basement. The main level has another dining area, this time with a Juliet balcony that overlooks the garden, for multiple vantage meditation. (That’s a new term we just made up. You can thank us later.) 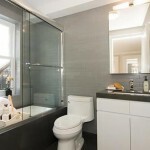 There’s also a powder room with Lavastone floors and a custom marble vanity. The open-tread staircase is an architectural work of art in and of itself, but hey, stop staring at it because we need to get up to the second level. With all these daydream-worthy views situated directly off eating areas, we’re beginning to suspect this place wants us to gain weight. 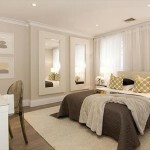 The second floor has two bedrooms, each with an en suite outfitted with Caesarstone vanities, floors, and walls. There’s also no lack of storage on this floor with plenty of closet space in each room. Up on the third floor is more than a master suite, but rather a master sanctuary. The master, flanked by two walk-in closets, takes up the entire level, with an office looking out over quiet, residential Commerce Street. 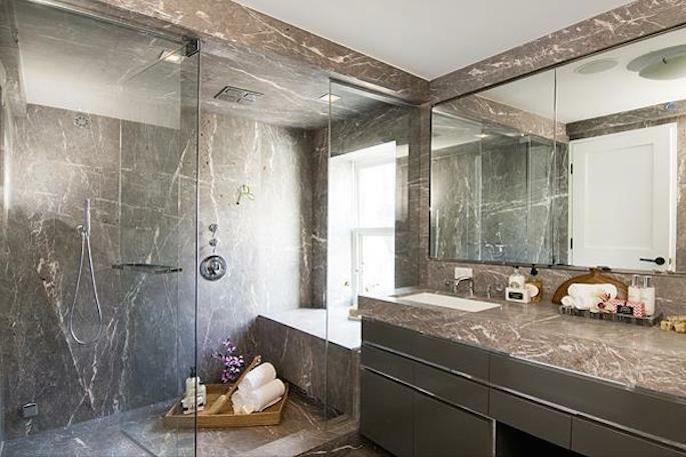 The master bath is a masterpiece (pun intended) with Fior Di Bosco marble sinks and a shower with a custom marble slab bench. There’s also a steam shower with a rain head, wall head, and hand shower. Disclaimer: This spa bath is so luxurious it may make you late for work. 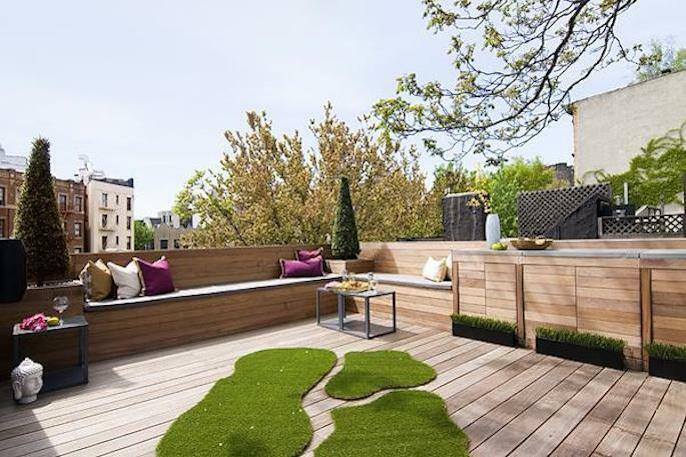 Finally, the home has a rooftop that is more like an extension of the home, with a sun deck and a separate outdoor living room. This A-list town home is asking $6.95 million.